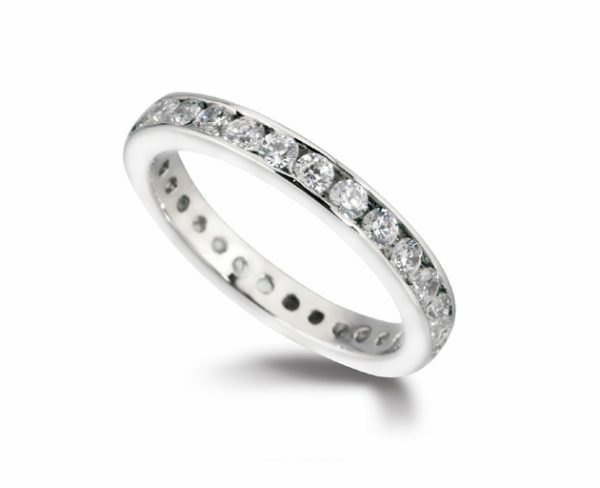 Eternity ring channel set diamond. This ring is 3mm wide and approx. 2ct (Gvs diamonds). Prices vary depending on the quality of the diamonds and finger size, please contact us for a quote. Made for you in our workshop on the crossroads in Ditchling, East Sussex.